In late 2013, Matthew Sprague was feeling aimless. After a tour in Iraq, where he injured his back, he left the Army and was living in Pasadena, Calif., with his wife and new baby. Then he saw an advertisement for a franchise expo, and an unexpected path emerged. Sprague says he had no expectations when he took on the grill-cleaning franchise, which set him back roughly $20,000. But anything, he believed, would be better than the $10 per hour he’d been making at a rental-car company. Little did he know the business would heat up so fast. 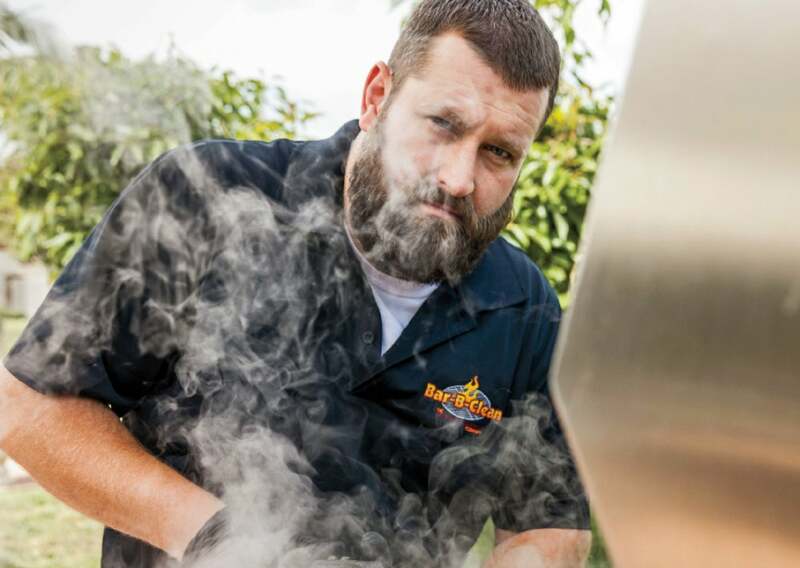 In 2014 his Bar-B-Clean business made $60,000, so he bought three more territories. Now Sprague says he’s on track to gross nearly $200,000 in 2015, and he recently hired his first two employees. He believes that if he’s able to secure 10 prime territories in the Los Angeles area in the next two to three years, his business could bring in nearly $1 million annually. Sprague’s ambitious ascent is part of a growing trend. Low-cost franchises were once considered the domain of fly-by-night operators, and even legitimate concepts often had low returns. But in the past decade—fueled by the recession and the cost-cutting that mobile technology and cloud computing have brought to the franchise world—low-investment options have become more sophisticated, creating valuable opportunities for those who are willing to put time and energy into building them up. Cleaning up: Sebastian Pica (left) and Adam Schoenfeld of Coverall. Even people who could afford pricier concepts are opting for franchises that don’t carry the overhead of a brick-and-mortar retail or restaurant location. Starting out with less or even no debt affords the ability to scale up and expand. “A low-cost franchise does allow a person interested in building a larger enterprise to do that using their cash flow,” Stites says. Brian Mattingly refers to the approach as empire building. The founder and CEO of Welcomemat Services, a low- cost brand that target-markets coupons and deals to newly relocated families and individuals, got a jump-start during the recession. Sheryl Eickman is one of Mattingly’s empire builders. A veteran of the home-building industry, she’d spent 20 years helping people who were transferred to Indianapolis find good restaurants, hair salons, auto mechanics and anything else a transplant might need. When she read about Welcomemat Services in the local paper four years ago, it seemed like a perfect match. For about $25,000, Eickman’s franchise was up and running. Covering roughly half of the Indianapolis metropolitan area, the business brought in $128,000 in its first year and more than $180,000 in the second and third years. Honolulu-based Roger Dequina started his i9 Sports franchise in 2007 for about $30,000. Since then his business has mushroomed, bringing in $5.2 million and employing five full-time staffers and more than 30 seasonal workers to run youth sports leagues on Oahu. The first two years required extremely long work hours, but Dequina was deter-mined to follow the i9 Sports system closely. Ultimately it was his connection to the work that drove him to persevere. For Adam Schoenfeld and Sebastian Pica, the opposite was true. They had no knowledge of or passion for the cleaning industry when they took on a Coverall franchise. 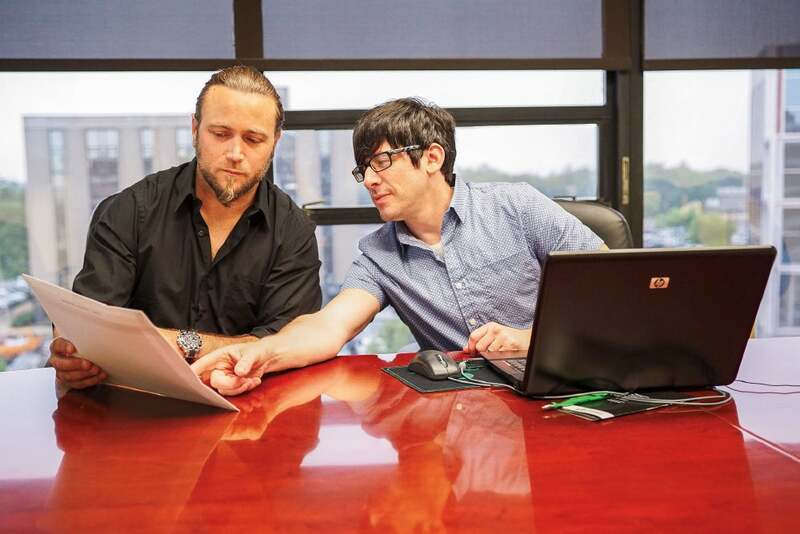 The two Long Island, N.Y.-based friends, who had toured the country in a rock band for several years, decided to go into business together. But it was 2008, at the start of the recession, and the duo realized they weren’t likely to get a bank loan. In the beginning, it felt more like they were killing themselves. After working full-time jobs all day, the two would go straight into Coverall mode, cleaning all night. They learned the trade, getting feedback from clients and determining what made customers happy. After a year, Schoenfeld was able to leave his day job; Pica soon followed. “At the beginning we put aside our personal lives and made extreme sacrifices working weekends and nights,” Schoenfeld says. But the hours and attention to detail paid off. From a $14,000 investment, the partners now have sales of $400,000 per year. Two years ago they were able to stop cleaning and focus on the management side of the business, which operates under the name Metro Cleaning Solution, a Coverall Company. Because they have barely tapped the potential of their territory in Queens, Brooklyn and Long Island, the two believe they could reach the $1 million mark in the next two years. Chris Souk also has his eye on reaching seven digits within a few years. After learning about OxiFresh carpet cleaning from his brother in Denver, he brought the concept to Charlotte, N.C. He graduated from business school in May 2009 and was on the job cleaning carpets by June 1. “I got into this from day one knowing I wanted to be the 800-pound gorilla on the Charlotte carpet-cleaning scene,” Souk says. That meant getting the word out about his business, which he accom-plished by sending out thousands of direct-mail pieces per month. Over time, the strategy worked, and Souk continued to build his company, which brought in $650,000 last year and is on track to hit $700,000 this year. Not bad for an initial $24,000 investment. Souk’s OxiFresh franchise books appointments from 7 a.m. to 7 p.m., an exhaustive scheduling strategy that has paid off in revenue and customer loyalty. Terri and Chris Dickson started building a low-cost empire in 2014, when they launched their Blue Moon Estate Sales franchise in Greensboro, N.C. They got up and running for $45,000 and didn’t have to dip into their retirement accounts. Word-of-mouth spread, and the Dicksons reached $250,000 in sales in their first 12 months. In the first quarter of 2015, they saw sales of $100,000, thanks to one weekend sale that grossed $80,000. Although relatively new to the business, they say they already have followers who come from out of state for their sales, some even camping out for hours in advance. Which may be true, unless one of his franchisees gets there first.